Bambu Wins Spot in Hong Kong SuperCharger FinTech Accelerator. Lending Stream leverages Decision Management Suite from FICO to build new credit platform. EVRY wins six-year contract extension with Sparebank 1, an alliance of 16-strong Norwegian savings banks. SEB partners with Ripple to build blockchain-based real-time payments system. Wipro launches Open Banking API platform. Users can now send money via PayPal using Siri. Riyaz Ladiwala joins Heckyl as CEO for India operations. Guardian Analytics introduces Guardian Analytics Sentinel Treasury Management for fraud protection. 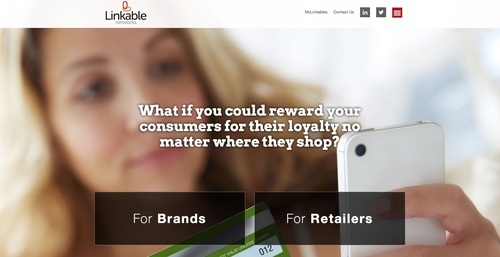 Linkable Networks launches platform enhancements to enable retailers to verify purchases. Staples to leverage Tuition.io for student loan repayment benefit option. ProActive launches its 2.0 back end. How Filene and Larky’s Mobile Rewards Pilot Will Promote Stronger Member Loyalty. Fiserv inks deal with FCTI to provide transaction processing for 8,000 ATMs in 7-Eleven convenience stores in U.S. Video of Fiserv’s recent live demo from FinovateFall is now available. NCR launches cloud-based developer portal. ACI Worldwide and Vocalink partner to provide real-time payments solution. Let’s Talk Payments interviews Tom Burgess, Linkable Networks founder and CEO. Visions FCU signs with MX for money-management app. Zopa releases its first-ever rating of a batch of securitized Zopa loans. Sezzle Wins $10,000 from Securian in Minnesota Cup Startup Competition. OnDeck launches marketing campaign featuring Shark Tank judge Barbara Corcoran. RightCapital launches Leads, a tool to help financial advisers turn leads into clients. Encap Security unveils version 3.1 of its Smarter Authentication platform, including support for Android fingerprint API. Canada’s digital-first EQ Bank goes live with RetailSuite from Temenos. TSYS and Ethoca team up to fight CNP fraud with the TSYS Transaction Recovery Network. i-exceed technologies earns recognition in Gartner’s 2016 look at MADP vendors around the world. See i-exceed at FinDEVr 2016 in New York in March. WSJ builds article on Cardlytics data. Pymnts highlights cost savings from using the Ripple network. Payments Source features Linkable Networks. Signifyd extends integration with Shopify Plus. Moven partners with Freelancers Union. Check Point and IBM Security to share threat intelligence, announce product integrations. TIO Networks ranks 2nd in top 10 tech companies on the 2016 TSX Venture 50. Taulia launches global partner community, announces new partnerships. Zopa launches three new loan products: Classic, Access, and Plus, expanding ability to lend to higher risk borrowers. Envestnet | Yodlee teams up with South African API marketplace, Limitless. BioCatch announces real time detection of Remote Access and RAT-in-the-Mobile (RitM) malware. PayPal unveils redesign of its Android and iOS mobile apps. eToro partners with Sberbank to bring its social trading network to Russian investors. News America Marketing and Linkable Networks announce partnership deal. Nasscom Product Community blog features Bridgei2i. InforcePRO adopts DTCC’s IR&S Solution to link with Carrier Partners. Hudson River Financial FCU ($51 million assets) hires Insuritas to launch insurance agency. BizEquity partners with Entrepreneur to create a new valuation and performance center for its business community. Intech Worldwide and Forte Payment Systems form partnership. Linkable Networks launches a fully digital shopper-attribution solution to bridge digital and in-store. Dutch Prime Minister Mark Rutte opens new Backbase U.S. headquarters in Atlanta, Georgia. Lending Club CEO Renaud Laplanche named to Bloomberg Markets 50 Most Influential list. doxo wins 2015 Washington Excellence Award for Consumer Payments and Customer Service. The biggest surprise in our look at first-quarter funding is that the $677 million amassed by 29 Finovate alums was more than 20% of the $3.2 billion invested in the entire worldwide fintech sector. The $677 million raised was $85 million (+14%) above the same quarter a year ago, and more than triple the first quarter of 2013. Q1 2015 was also $133 million above the $544 million mark set in the fourth quarter of 2014. It will be worth watching to see if this record-setting first quarter for Finovate alum fundraising will be a sign of more great things to come for capital-raising in 2015. If you are an alum that raised money in the first quarter of 2015, and do not see your company listed, please drop us a note at research@finovate.com. We would love to share the good news! Funding received prior to becoming an alum not included. Card-linked offers company, Linkable Networks, welcomed some extra cash today. The Boston-based company pulled in $11.7 million in Series E funding from existing investors BlueChip Ventures, CommonAngels, and Kepha Partners. Since its first seed round of $1.5 million in 2010, Linkable Networks has brought in a total of $40.4 million to date. Mike DiFranza joins Linkable as its president. DiFranza is the founder and former president and CEO of Captivate Networks. Jeff Jensen joins as executive vice president and general manager of Linkable’s new affiliate network for retailers, Omnyverse. Tom Burgess founded Linkable Networks in 2010 under the name Clovr Media. The startup changed its name to Linkable Networks in 2011. Linkable Networks demonstrated its MasterCard solution at FinovateFall 2012. Your Daily Distraction: FinovateEurope 2015 Demo Videos Now Available. Linkable Networks Rakes in $11.7 Million. Pymnts discusses how Xero will use its recent funding. ThreatMetrix now protects more than 1 billion mobile and web transactions each month. TechCrunch: Wealthfront Now Manages More Than $2 Billion In Client Assets. CrowdFlower launches Data for Everyone initiative, releasing data sets to the public. Bluefin Payment Systems and Small Business Workbench partner for integrated payments. HelloWallet, now owned by Morningstar, to deliver financial wellness software to Seagate employees. BBC News feature on robo-advisers highlights Wealthfront and Betterment. Malauzai Software and Payveris bring next-day P2P payments to First United Bank. ZTE partners with EyeVerify to add Eyeprint ID to its Grand S3 handset. Spend Matters features P2Binvestor and its crowdfunding approach to providing credit to small businesses. POTs and PANs looks at biometric authentication innovators, EyeVerify, BehavioSec, and BioCatch. Best Advice explores EZBOB’s strategy to attract SMEs to online lending. Bank of Internet USA to deploy IntelliResponse virtual agent technology. First Annapolis’ The Navigator Newsletter interviews Sebastian Siemiakowski, CEO of Klarna. Fastacash, Heckyl Technologies, Kabbage, Linkable Networks, and Nomis Solutions named to Red Herring Top 100 Global. Investor Intel mentions Patch of Land and Realty Mogul in column on helping baby boomers participate in real estate crowd funding. Azimo to join London mayor Boris Johnson’s trade mission to Malaysia and Singapore.